The playful Mr. 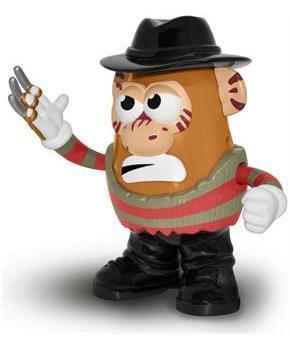 Potato Head line takes on cult classic horror movies with the addition of A Nightmare on Elm Street's Freddy Kruger! Officially licensed, the Freddy Kruger Mr. Potato Head includes a variety of components to mix and match. At 6-inches tall, The Freddy Kruger Mr. Potato Head is the perfect size for play or display. Collect all the Horror Movie Spuds to create even more hilarious combinations! The playful Mr. 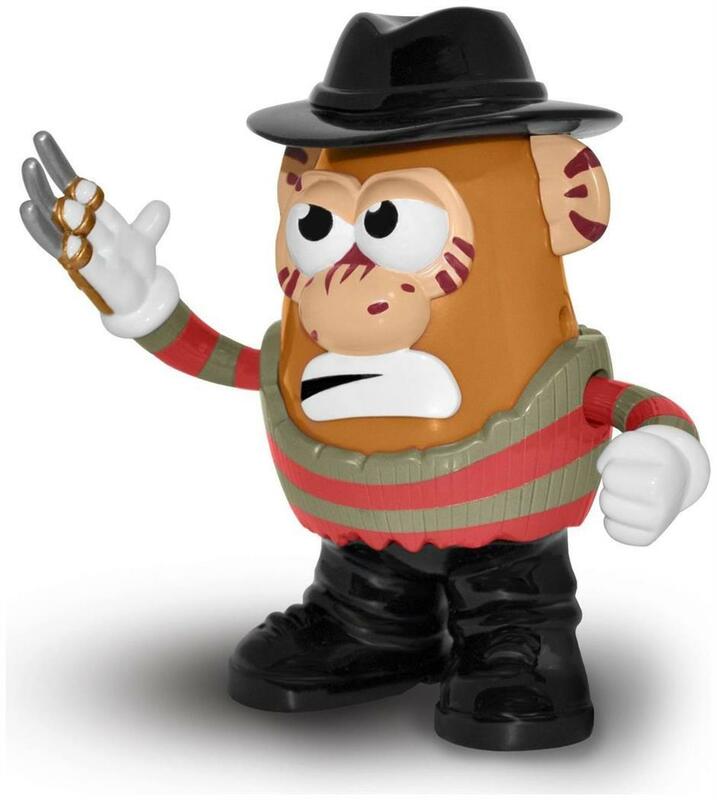 Potato Head line takes on cult classic horror movies with the addition of A Nightmare on Elm Street's Freddy Kruger! Includes a variety of components to mix and match. Collect all the Horror Movie Spuds to create even more hilarious combinations!